We’re constantly striving to provide unparalleled value to our customers. The way we define value is proving more than what’s required for less than what’s expected. Put simply, our goal each day is to provide a great product at a price everyone can afford – no matter what you’re building. 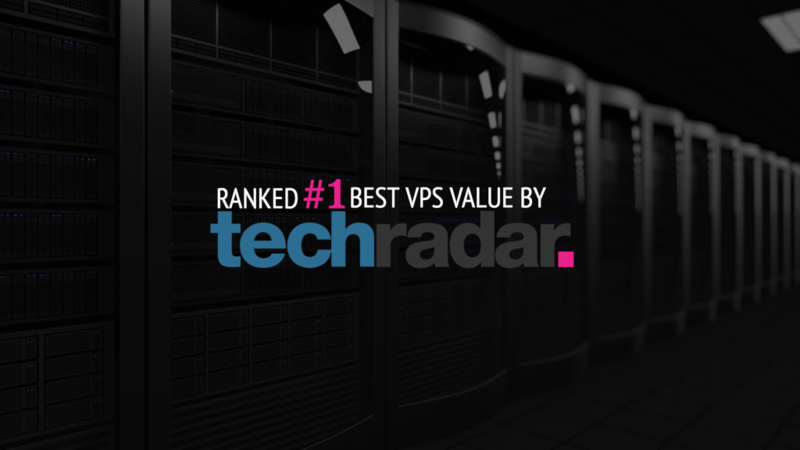 Given this mission of ours, we were thrilled to learn that we were recently named the #1 Best VPS Hosting Deal by Techradar. Feel free to check out the full list of rankings here. To be clear, we didn’t go looking for press or approach publications touting our exceptional value. Perhaps this is why the recognition feels genuine. We’re especially proud that an independent authority in the tech space did their own unbiased research and instantly recognized the value we’re providing to our thousands of loyal customers. A great example of this value is the VPS plan highlighted by Techradar in the article. They chose to single-out our SSD Premium plan, which (like all of our plans) provides more than our competitors provide at only a fraction of the price. This includes more cores, more RAM, more SSD storage, and on and on. Here’s how Techradar described the value. More than what’s required for less than what’s expected. We’ll keep providing a great product at a great price for all types of builders – developers, businesses, gamers, traders, bloggers, resellers, and so many more. So if you’re a builder of any kind, we welcome you to come build with us. As referenced above, you won’t find a better VPS value anywhere, guaranteed. For a limited time, to celebrate our recent ranking, we’re offering 50% off of any plan. This means you can get an entire year of VPS for only $14, or a monthly plan for as low as $1.99/month. Simply click below to view plans and get started with the #1 Best VPS Hosting deal on the market.